If you are committed to your job but have started to feel burnt out or uninspired, or if you’ve always dreamed of continuing your studies or immersing yourself in a different culture, then a sabbatical may be the answer. 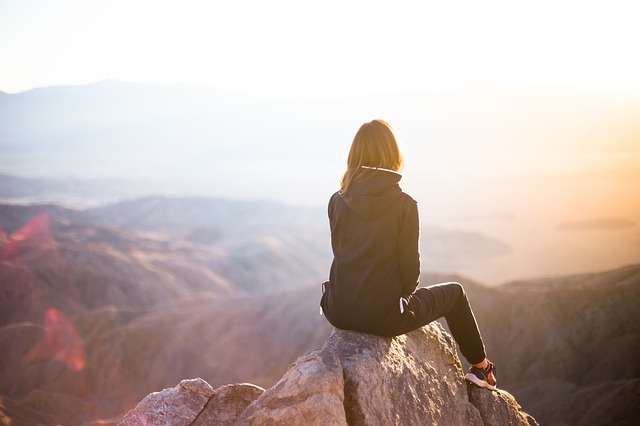 In this article, we explore why you might want to consider a sabbatical, what you need to think about when planning your time off work, and how to approach your boss with a request for one. Sabbaticals are a way for employees to take a period of extended leave from work without quitting their job. They can bring benefits to both employer and employee, but they require careful planning and negotiation to ensure the arrangement works for everyone. A sabbatical can last from a couple of months up to a year. Most sabbaticals are unpaid, although a few employers do offer paid versions. Crucially, sabbaticals are not just a long holiday and should have a sense of purpose to them that is in some way related to your work (we'll discuss this in more detail later). When granting a sabbatical, the employer agrees to hold your job open for you for a fixed period (or at least guarantees that they will offer you a similar position at the same level when you return). In this sense, sabbaticals differ from career breaks – which are more informal, can last longer than a year and do not necessarily imply that you will return to the same company at the end. The concept of a sabbatical is common in the world of academia, where scholars may be granted a leave of absence from their day-to-day duties to carry out research or further their studies, often while visiting an institute elsewhere in the world. The object of this time away is to invigorate their academic energies, so they return as a more effective and useful member of the university faculty. Likewise, a constructive period away from any job can give the employee a chance to refresh their mind and enrich their skills, so they go back to work with a renewed energy and purpose. This can be as valuable to the employer as it is to the employee, but before you broach the subject of a sabbatical with your boss, you need to be clear exactly why you want to take a break, what you will do during your time off and the advantages this will bring to you both. What you do during your sabbatical depends very much on your reasons for taking a break. You will also need to consider how much time you are able to take off work and how you will fund your plans, particularly if the sabbatical is unpaid. Study – This is a popular reason for taking a sabbatical. Many people use the time to continue their studies or to plug any gaps in their education. Make a difference – Spending time doing charity work or volunteering is another common choice. This can be enriching and fulfilling, as well as providing an opportunity to develop new skills. Travel – Sabbaticals often involve visiting different countries, which is an opportunity to relax and reflect while gaining new perspectives. It can also be tied in with charity work. Retrain or learn new skills – If you’re itching to try something new, a sabbatical could give you the time to take a course or get involved in a project outside your usual experience. However, you will need to make it clear to your boss how this will be relevant to your current position when you return. They are unlikely to grant you leave if it looks like you are planning a career change. Break out of a rut – Things can start to feel stale and uninspiring after many years with the same company. A period away pursuing a hobby – or simply spending time with your family – could help you return to your job with a fresh sense of purpose and ambition. The first step is to check if your company allows employees to take sabbaticals. This may be mentioned in your contract, company handbook or intranet. Generally, it is larger corporations or public sector employers who offer formal (usually unpaid) sabbaticals, although some smaller companies do too. If your employer does have a formal policy on sabbaticals, you will need to check the conditions to find out if you are eligible to apply. They will usually stipulate that employees must have worked for the organisation for a minimum period. Other terms may include freezing your pension and salary, and a stipulation that you do not undertake paid work for another company while you are on leave. If you are eligible and have a plan for your sabbatical that fits with the terms of their policy, speak to your line manager or HR manager about how to apply. Even if your company has no policy on sabbaticals and no record of offering them, you may still be able to negotiate one for yourself. In this case, you will need to be very clear on your reasons for taking a sabbatical and how they will benefit all parties, but you must also be willing to compromise. Test the water. Don’t present your plans for a sabbatical as a done deal, as this leaves your boss with no room for negotiation. Start by discussing the idea as something you are considering, and gauge their response to your proposal. Focus on the positives. Don’t complain about being so stressed or burnt out that you need time off. Instead emphasise the benefits that taking a sabbatical could bring to the company, in terms of the new mindset, skills and experience you will return with. Consider any financial incentives. Your company might save money by not paying your salary while you’re on sabbatical. And if you were to choose to quit instead, it could be costly to hire someone new (although be wary of making this sound like a threat). Prepare your case. If you decide to go ahead with a formal request, make sure you have a clear outline of what you want to do during your sabbatical, how much time off you will need and the advantages to your employer. Be specific when presenting the business case – for example, by spending time in another country you will develop language skills and cultural experience that will help your company secure more overseas customers. Be flexible. Although you must present a clear plan, you may also need to compromise. You may want to take your sabbatical at a certain time or for a certain period, but be prepared to consider adapting your plans to fit with the company's needs. For instance, they may only be able to spare you for a few months rather than a full year, or they may ask you to delay your sabbatical until a quieter period at work. If your company does not usually offer sabbaticals, be prepared for them to turn down your request. This may be disheartening – but it's important that you accept the decision in good grace while you decide what to do next. You could wait and try to request a sabbatical again at a later date. This might be the best option if your boss has given some indication that they may change their mind or reconsider further down the line. You might also consider trying again later if a new manager is coming in soon, or if things evolve rapidly within your company. Your second option is to quit your job. While riskier, if you have your heart set on a career break then this may be the best decision. In this case, your financial planning will be even more important, as you will not have a guaranteed job to return to. You will need to think about how easy it will be to find another job when you do return to work. Even if they cannot offer a sabbatical, your current employer might consider rehiring you, so make sure you leave on friendly terms. Let them know that you would be interested in returning and contact them halfway through your time off, to reiterate your interest. If your employer does agree to grant you a sabbatical, then it is crucial that you get it in writing. The written agreement does not need to be long and complicated, but it should cover all relevant details as agreed between you and your employer. Salary – If it is a paid sabbatical, confirm this in writing. If it is unpaid, then outline your agreement about the salary you will return to, as well as your pension and any other benefits. The role you will return to – Has your employer guaranteed to hold your current position open, or will they offer you a similar role at the same level upon your return? Work you will be doing during your sabbatical – If you will be doing any paid work during your sabbatical, or anything else that may conflict with your regular employment, make sure you have agreed the details beforehand. Make sure that both you and your employer have a copy of your written agreement. A sabbatical should be constructive. Think about why you want to take some extended time off work, and what you will achieve during your period away. Some larger employers offer formal sabbaticals. Check what your company policy is, whether you are eligible, and how to apply. Even companies without a sabbatical policy may be open to the idea. You will need to present a clear and compelling case for taking a sabbatical. Focus on the advantages to your company when applying for a sabbatical and be prepared to compromise. Get an agreement in writing. If your request for a sabbatical is granted, make sure the details are confirmed in writing – and that both you and your employer have a copy. How Do Graduates Feel About The Gig Economy?